Red is a deep and passionate colour and so is this Gift Hamper. 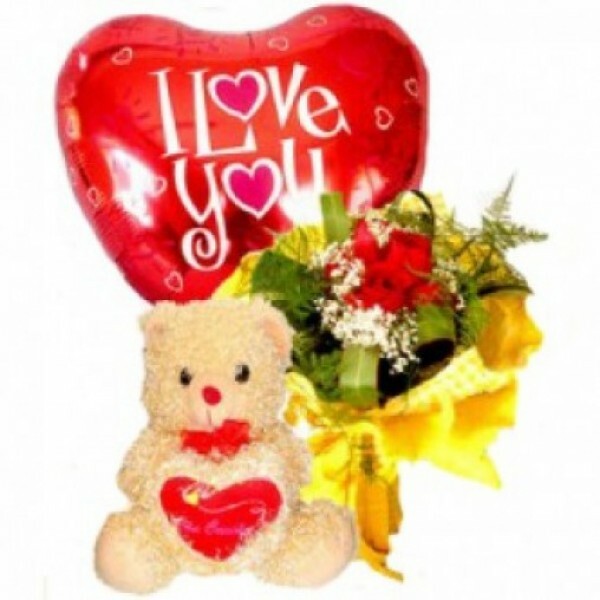 This one includes a cute little Teddy Bear, a Heart-shaped Helium Balloon and a Bunch of 6 Red Roses. It is the perfect Gift for expressing love.